Winter sport lovers will be delighted with our wide range of offers. You will be guided from the first step into the snow to the stylistic perfection by our professional and nationally accepted instructors of the ski schools Karersee and Rosengarten. The young and motived ski instructors are since many years a guaranty for success and quality. 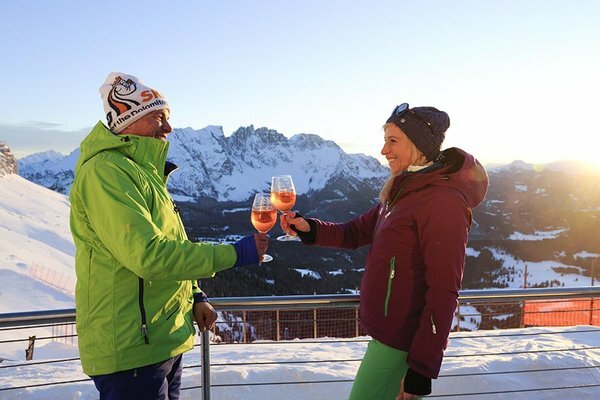 They are going to teach your whole family how to ski in the ski area Dolomites Superski with fun and motivation and show you wonderful views over the mountain landscape of the UNESCO world heritage Dolomites. In the ski area Dolomites Superski we offer ski courses for children and adults, for group in different levels, but also individual and private lessons. What do think about trying the famous King Laurin tour? Get just in touch with us, we are always glad to help you to organize everything you desire and give you more security on the well prepared slopes of the ski resort Carezza.